Olive Oils & Balsamic Vinegars | Spices Etc. 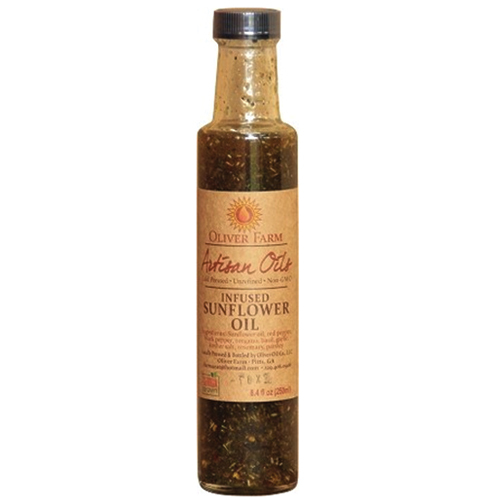 Try Oliver Farms Infused Sunflower Oil is a flavorful combination of pure, unrefined sunflower oil combined with eight herbs and spices. It is excellent as a bread dip, or try it on salads & potatoes. Use it as a marinade on meats and fish. It is great for sautéing vegetables, or basting on grilled or baked meats and vegetables. 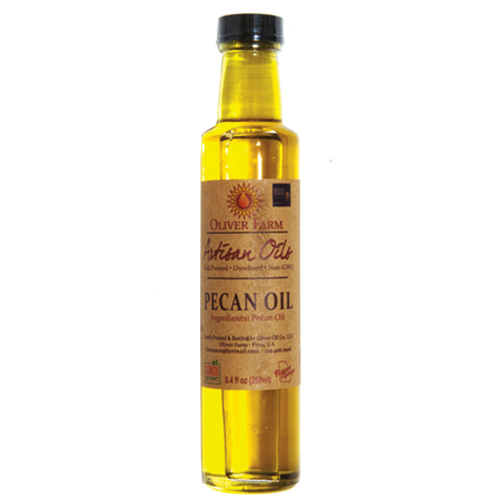 Oliver Farm Pecan Oil has a light, buttery, slightly nutty taste with a beautiful color. A culinary treasure that tastes great and makes a great butter substitute Its high smoke point makes it an excellent choice for sautéing or frying. It contains more than 19 vitamins and minerals and has a low 7% saturated fat content.